« Drew Brees to get new deal in St. Louis? Saints head coach Sean Payton announced that first-round running back Mark Ingram will not play on Sunday in St. Louis. The rookie out of Alabama suffered a bruised heel in Sunday night’s 62-7 rout of Indianapolis. 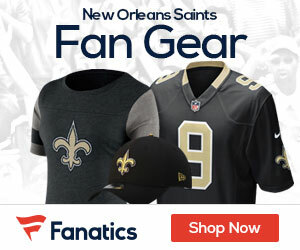 The 28th overall pick in the 2011 NFL draft leads the Saints with 329 yards and three touchdowns on the ground through seven games. Payton also added that second-year running back Chris Ivory will be activated from the physically unable to perform list. Signed as an undrafted free agent out of Tiffin University, Ivory led the Saints with 716 yards and five touchdowns rushing in 2010 before being placed on injured reserve with a foot injury following the club’s last regular season contest. when will mark ingram come back in next week possibly??? ?